Q-1). What is the Total Number of Routes covered by RSRTC on daily basis? A: RSRTC covers 2044 routes (approx.) on daily basis. Q-2). 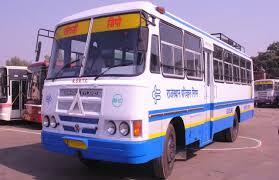 What is the total number of Night Service Buses run by RSRTC ? A: There are 10833 by RSRTC. Q-3). 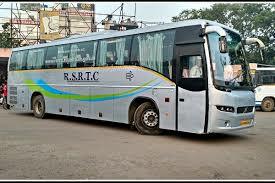 What is the shortest & the longest route covered by RSRTC ? A: Shortest route is Jhunjhunu to Pilani and Longest route is Udaipur to Haridwar. RSRTC(Rajasthan State Road Transport Corporation) has been considered as efficient service provider since its inception on 1st October 1964. The corporation has been established under the Road Transport Act 1950 with the objective of providing economic, adequate, punctual and efficient services to the travelling public. RSRTC is entirely committed in delivering high quality services, consistently and constantly improving the services for passenger satisfaction. RSRTC has laid emphasis on cleanliness of buses, punctuality of the services and courteous behavior with passengers. Besides, it provides a safe travel experience for the passengers, therby enhancing travel convenience at anytime of the day. 1. Mercedes Benz Services (Low Fare)- RSRTC launched luxury bus services between Jaipur and Delhi and other tourist destinations using State of Art Volvo Buses to provide all TV channels and entertainment during travelling. 2. Volvo Buses- These buses are spacious and comfortable 2*2 A/c volvo buses for ease and comfort during journey. It is a 45 seater, State of Art Volvo Buses ensuring great comfort services. 3. Gandhi Rath / Semi Deluxe/Gandhi Rath (Low Fare) - These are Low fare A/c 2*2 buses which provide great economical facilities to the passengers. 4. Air Conditioned – Gold Line Services- These buses deliver homely comfort to travelers, also provides better convenience and facility to the public and tourist in special Air Conditioned buses. 6. Ordinary Services- These buses are ordinary non AC buses with minimal fares operating all throughout the day. redBus provides hassle-free bus booking experience from PC or Mobile Devices. Choose your destination, select your preferred bus, read user ratings, view seat layout, choose convenient seats, make payment through multiple payment options and book a confirmed bus ticket in just a few clicks! Book RSRTC bus tickets on redbus.in and enjoy your ride.